Access to ITM students in at CTI-sponsored events. 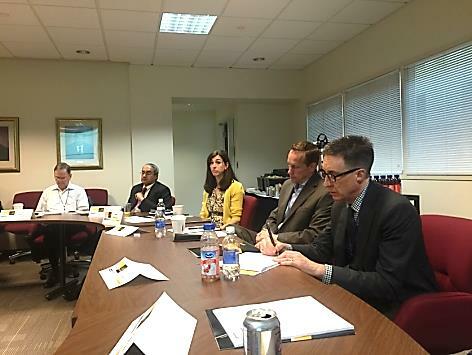 Each spring, CTI hosts a CIO Roundtable to allow our faculty to learn about the latest trends in industry, and to get feedback on the skill sets required of our graduates. “Front of mind” for the industry includes cyber security, evaluating the value of IT through metrics, agile development, mobile, big data, and the customer experience. In addition to strong technical competence, CIOs identified communication, problem solving, the ability to build a business case, and project management among desired skills for new hires. The most recent participating companies included: Brady Corporation, Harley-Davidson, Joy Global, MGIC, Pactera Technology, Rockwell Automation, Trisept Solutions, and We Energies.